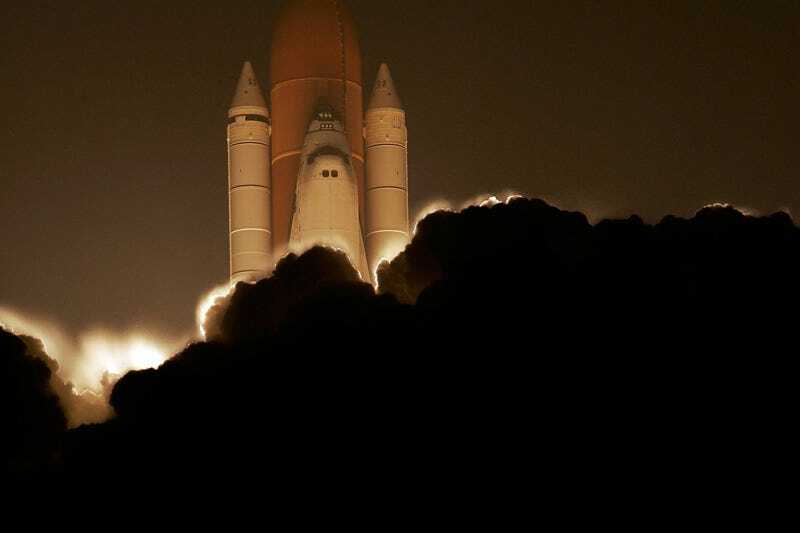 Yesterday the space shuttle Discovery blasted into space, ready to deliver its payload of solar panels and astronauts to the International Space Station. A hydrogen gas leak that foiled Discovery's first launch attempt last Wednesday did not pester the shuttle again . . . Ground crews also spotted a snoozing fruit bat on the shuttle's external tank during fueling. Since the small bat was perched on the side of the tank facing away from the orbiter, and a part of the tank that wasn't cold enough to freeze it in place, NASA decided the winged mammal was unlikely to pose a safety or debris risk to Discovery. Top image by Eliot J. Schechter/Getty Images. Bottom image by Bruce Weaver/AFP/Getty Images.